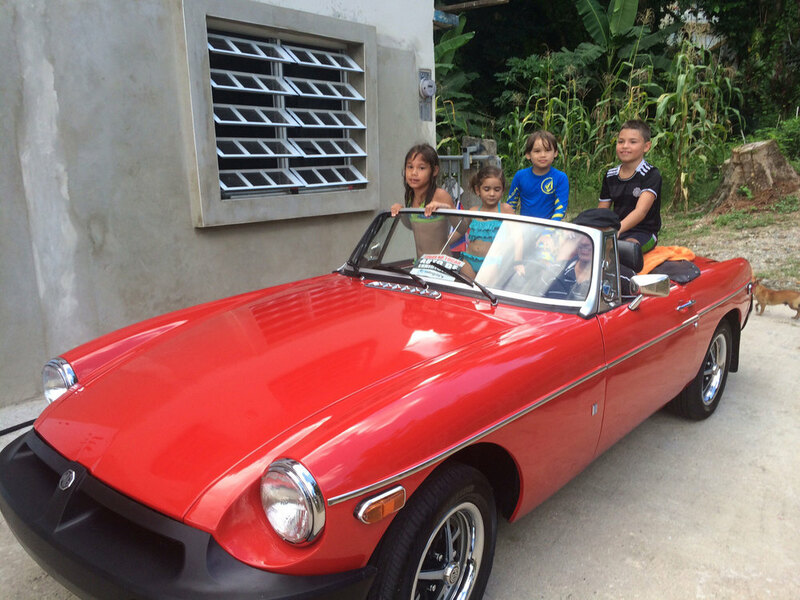 I bought my MGB with some restoration about 12 years ago. Due to some health conditions I could not continue working with my car. Two years ago I started to work 2 or 4 hours a day. It was finished and very proud of my job. The first day that I used it on the street was on my grandchild’s birthday. He was very happy to have a short trip in his grandfather’s MGB. All are my grandchildren.